One of our Industries most respected professionals, Trish O’Leary, commences a new chapter in her esteemed career following the shock announcement that she is leaving her role as Commercial Account Manager for Amadeus in Ireland. Trish has spent 20 years at Amadeus in Training, Sales and Commercial Account Management roles in Australia and Ireland. Since joining the company, she has consistently delivered growth for the company and developed strong partnerships with customers throughout the country. When Trish joined Amadeus in Ireland they had one key account and now command an incredibly strong business having built a multi award winning team and partnerships with the trade on the Island of Ireland. These partnerships with the trade have developed into strong commercial and personal relationships over the years. Amadeus are currently recruiting a new Commercial Account Manager and will announce the appointment in the coming weeks. Olwen McKinney will continue Account Management for Amadeus’ Retail customers. 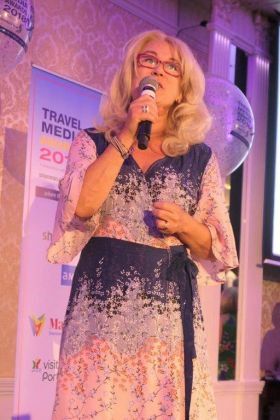 On behalf of all our Industry readers and followers Travelbiz would like to wish Trish all the very best in setting out on the next chapter of her career. With her reputation, networking skills, professionalism and amazing “get it done” attitude in everything that she does, it’s going to be a best seller!